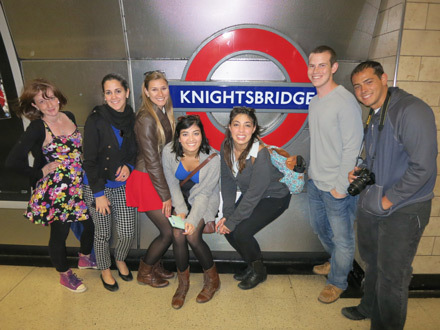 "Be part of what US News and World Report ranked in 2010 as one of the best Colleges for Study Abroad and what BestCollegeReviews.org ranks as the # 1 study abroad program in 2015"
"One of the most amazing experiences a student could have." We are pleased to offer several five week courses taught by Dr. Bill Stroube: The British and U.S. Health Care Systems: A Comparative Study & Health Care Ethics and Jurisprudence. Click here for details. 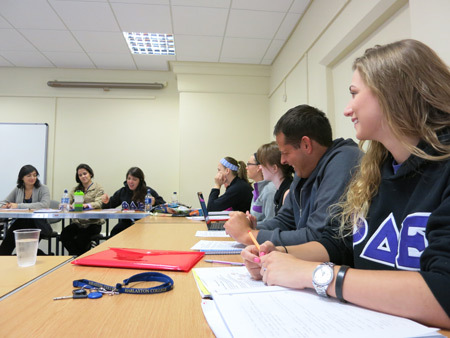 Since 2012 Phi Delta Epsilon Medical Fraternity has arranged study abroad summer sessions at Harlaxton College, the British Campus of the University of Evansville. This experience takes place in May-June with optional travel, classes met Monday through Thursday with excursion opportunities on weekends. Excursions have included London, York, Cambridge, Edinburgh, and Paris. Dr. Michael Cullen teaches a three semester hour upper level course in Neurobiology. 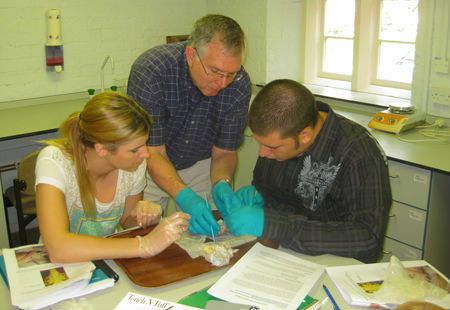 Dr. Cullen, Professor at the University of Evansville, and former professor at the University of Southern California School of Medicine, ensured this class matched a graduation requirement and helped students familiarize themselves with MCAT relevant material and medical school preparation. "Dr. Cullen is an amazing professor--incredibly understanding of our travel schedules, and he always facilitates in-class (and after class) discussion about the subject matter, and even travel tips. The workload for this course is reasonable while still managing to be challenging." "I thought the exams were extremely representative to the course material and they were very fair. There were never any surprises and everything on the test was thoroughly covered. The fact sheets were a great study tool and it was useful to my learning. ..it was such an amazing summer experience!" 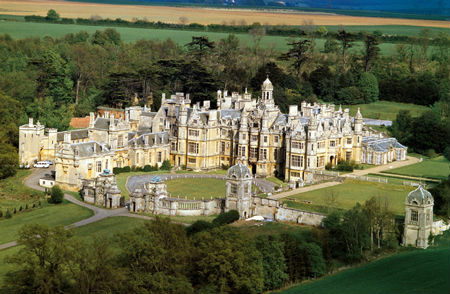 Students at Harlaxton College live and learn on the grounds of a 19th century English manor house in the East Midlands, the heart of historic England. They visit London which is only one hour away by any one of the 18 trains daily that serve the great capital city. "It was a wonderful opportunity to meet new people and experience a different culture. I can't begin to explain all the unforgettable memories I have from the adventures I went on and sights I saw with those on the trip. If I could do it all over again, I would do it in a heartbeat. I am so glad I took the opportunity to see so much of England and to travel afterwards and to see friends in Germany, Norway and Sweden. 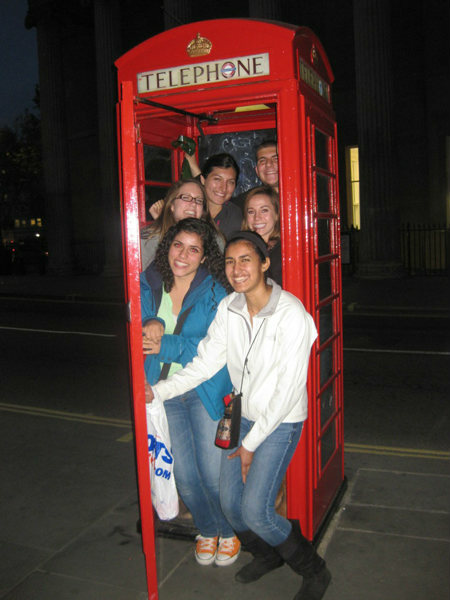 This study abroad experience with PhiDE was truly life changing and unforgettable." 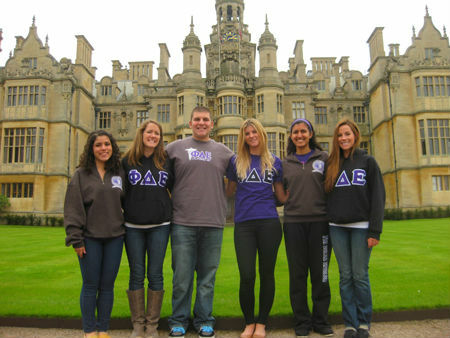 The Harlaxton College study abroad experience with Phi Delta Epsilon was the best time of my life, as I surrounded myself with like-minded individuals while taking a class taught by a leader in his respective field." 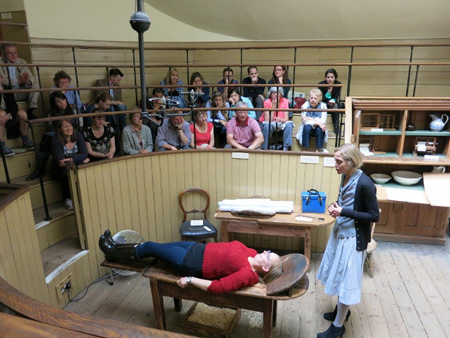 The medical tour of London was about 18th century medical practices and surgical techniques. Listening to the tour guide talk about the tools the surgeons worked with, and moreover everything they did not have to work with, was shocking and yet so interesting. Physicians back then had to know how to do really anything with the little they had. Without anesthesia, they not only had to be quite skilled, but also swift in their technique. I really enjoyed the gory stories he told about the surgical practices. Though they were dark and gruesome, it amazes me how they learned the techniques that are mostly still used today." "This was a once in a lifetime experience. Everything from the food to the trains changes you. I feel more confident and worldly. Honestly, this has been my second best decision of my life (the first being to pursue the medical career)." Three hours of undergraduate tuition, housing, meals, student activity fee, local Harlaxton shuttle fee, health and wellness fee, technology fee, and airport pick-up at London Heathrow (only) for passengers landing on May 27th by 10:30 am. Students who enroll in six credit hours will be subject to an additional tuition charge estimated at $1700. Students who enroll in graduate courses will be subject to a graduate credit surcharge. NOTE: Charges do not include air travel to and from London, personal expenses, or optional weekend travel. A group flight will be arranged at an advantageous price. Limited space is available. For more information about summer, fall, or spring prices and course details click Here.